Back by popular demand! After the extreme response and customer satisfaction following the Infinity Cattle Services Fall Sale, Bonchasse Land & Cattle was agreeable to consign the only remaining sale heifer sired by the great +Mr. V8 380/6 and out of JDH Lady Babette Manso 486/4. Most know that +Mr. 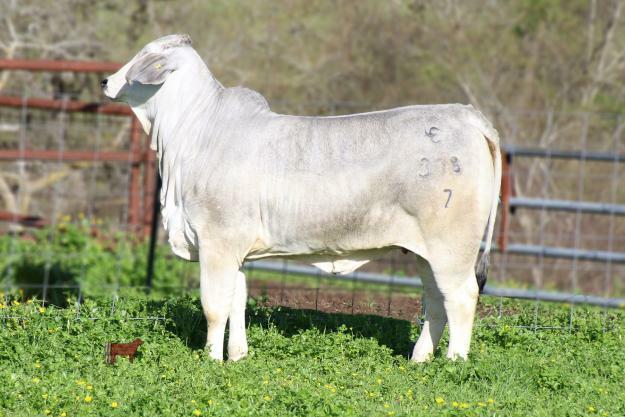 V8 380/6 has been one of the most influential sires of all times in the Brahman breed as confirmed by him producing the most show ring winners in the USA from 2011-2017 and most recently sired the National & International Champion Grey Cow for V8 Ranch. Equally as impressive is JDH Lady Babette Manso 486/4 who was the 2013 National Champion, 2014 International Champion, and ABBA Show Cow of the Year. As you might expect from this mating Ms. Bonchasse 378/7 is eye appealing, growthy, heavy structured, deep ribbed, and easy fleshing. To further add to her value Ms. Bonchasse 378/7 ranks in the top 50% of the breed for an impressive 10 economically relevant traits. In addition she is 1 of 2 heifers selling that has carcass ultrasound measurements that were adjusted to 5.1% IMF, 9.3 sq. in REA for a 1.1 REA/CWT and a .37 in. Back Fat. 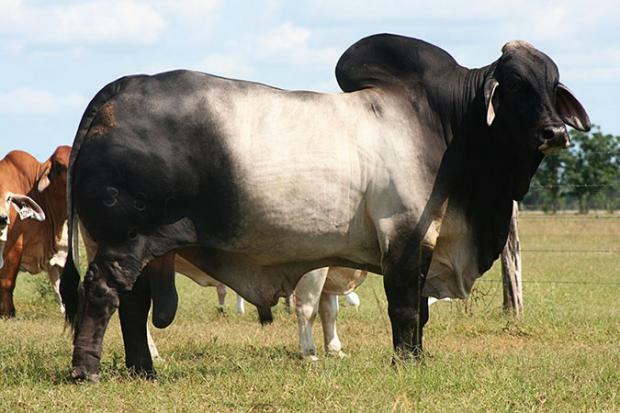 Don’t miss this opportunity to purchase an outstanding female that combines some of the most popular and proven genetics with breed leading performance. Ms. Bonchasse 378/7 is truly a breeding piece! +Mr. V8 380/6 sired more show winners from 2011-2017 than any other sire. 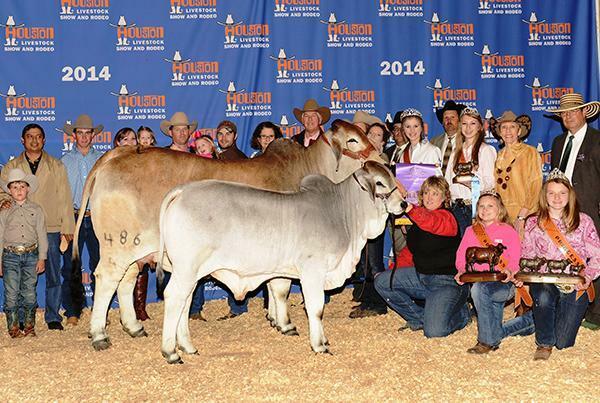 JDH Lady Babette Manso 486/4 is a former National & International Champion and ABBA Show Cow of the Year.